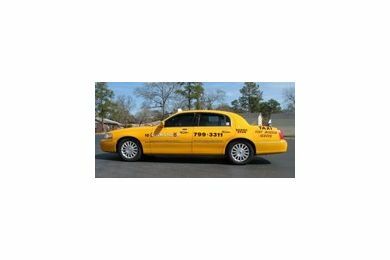 Checker Yellow Cab Co., Inc.
Checker Yellow Cab is the best choice for quick and reliable taxi transportation services in the Midlands. Available 24/7, Checker Yellow Cabs feature a computerized GPS dispatch system designed to pick you up and get you to your destination quickly and economically. All cars are equipped to accept major credit cards, and Checker Yellow provides service all over the Midlands including to the airport and Fort Jackson. Checker Yellow also offers corporate accounts and courier service. Checker Yellow Cab Company is dedicated to offering the best, most convenient transportation service in the Columbia area. Checker Yellow has long been known for our community involvement and our reliable customer service. With these new features we hope to not only improve our business, but also increase customers’ ability to more easily obtain service from Checker Yellow Cab. Such notable improvements include our pre-paid gift cards, online booking, and mobile app booking. The gift cards, or “taxicards,” are used solely in our cabs and work just like a credit card. They provide a convenient way to pay for cab fare, keep track of transportation expenses, and make for a great gift. The gift cards are perfect for students, senior citizens, business travelers, and people on-the-go. Visit our website www.checkeryellowcab.com to find out more information and order yours today! Checker Yellow is exclusively positioned in the greater Columbia area as the only cab company that offers online and smart phone booking. The Checker Yellow Cab mobile app can be downloaded for free from both Android and Apple app stores. The app allows you to get estimated rate amounts, advance book a taxi, and monitor the progress of your cab. Visit our website to learn more about the mobile app, upcoming sponsored events, and more!